If you ever felt abandoned by your religion in your time of need, this is a must-listen show for you. 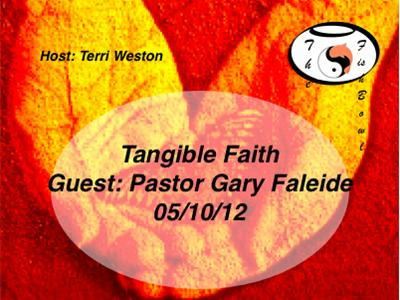 Gary Faleide, Pastor at Burr Ridge United Church of Christ, will join host Terri Weston to share his insights on living with applicable and tangible faith. Learn more about * The most common faith wisdoms & traditions * How we can learn from other wisdoms and traditions to enhance our own beliefs * How to pray to or connect with our Higher Power for answers and insights * Handling those moments of anger at our Creator.